It had been a couple of months since I had visited this monthly institution due to outside forces, but along with a multitude of others made my way there on a cold Tuesday night with anticipation. 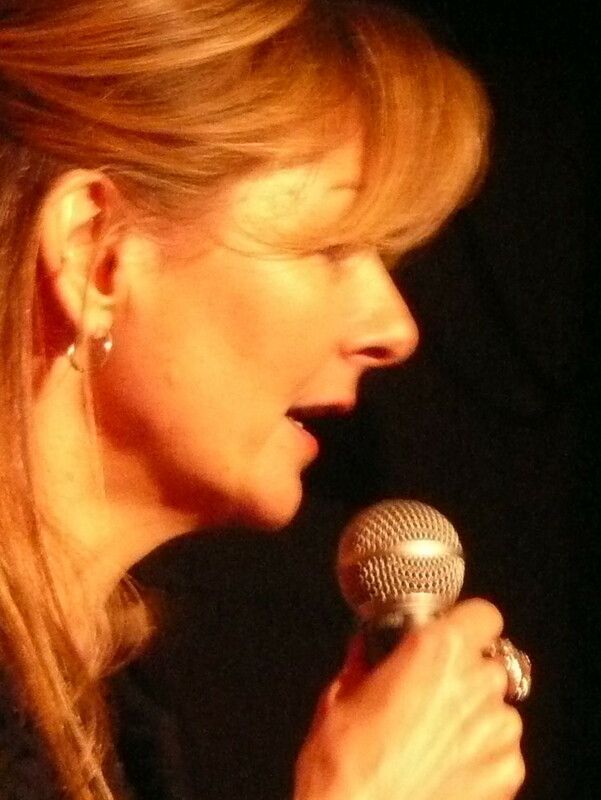 For those of you who do not know the format of the night is that numerous of the comics on the Scottish circuit are cajoled or persuaded by Jo Caulfield, and I suspect Kevin Anderson, to step out of their comfort zones, ie doing a set, and undertaking different comedy styles and delivering new material, some that may work some that may not. As with most of these shows the first two sections are recorded as a podcast and are available for listening via itunes. These parts consist of a ‘game show’, entitled The Good, The Bad and The Ugly with different guest comics providing the funny stuff under the direction of a host, so following a brief warm up from MC of the night Richard Melvin, where he explained the concept, warmed people up with some excellent material and set the wheels in motion for our Gameshow host Jo Caufield to preside over Team One, Keir McAlister and his wife Jay Lafferty, versus Graeme Thomas and …. Jim Park as Team Two. These teams played a variety of head to head laugh-offs including an homage to TV’s Mr & Mrs quiz game, all to a chorus of laughter at the shenanigans. The winner on the somewhat dubious points scoring by our host was …. Well it didn’t matter, I guess the real winners were the audience. There was another oldie game show that made an appearance when Jo was joined by Bruce Devlin and two press ganged punters for a game of Blankety-Blank. The star guests with the task of matching with these ’fortunate’ people where impro stars Stu Murphy and Garry Dobson and Richard Melvin. This was well received I think by all, and again as in keeping with the ethos of the night being something different yet funny. But was this the night over? Hell no!! 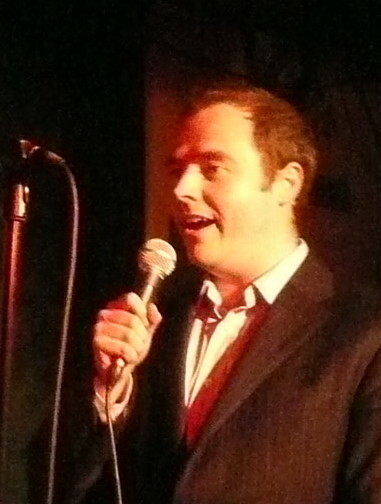 Melvin returned to his MC role warming up for the final section prior to the final two acts, the first of which was Ben Verth. I haven’t seen so much of this young comic but he has a reputation of being an up and coming name. Whether it was his character, or really him, Verth expounded on a passion for Dr Who for the duration of his set. Some of the material was somewhat specialist and perhaps would have been better received by a different audience, but he was confident in his presentation and certainly commanded his space throughout. Closing out the evening was young but definitely going places Gareth Waugh giving another dimension to his comedy character creation of the lecturer teaching us how to pick up women. This time our ‘super-stud’ majored on political women and for a guy of such tender years has the historical aspect sussed. 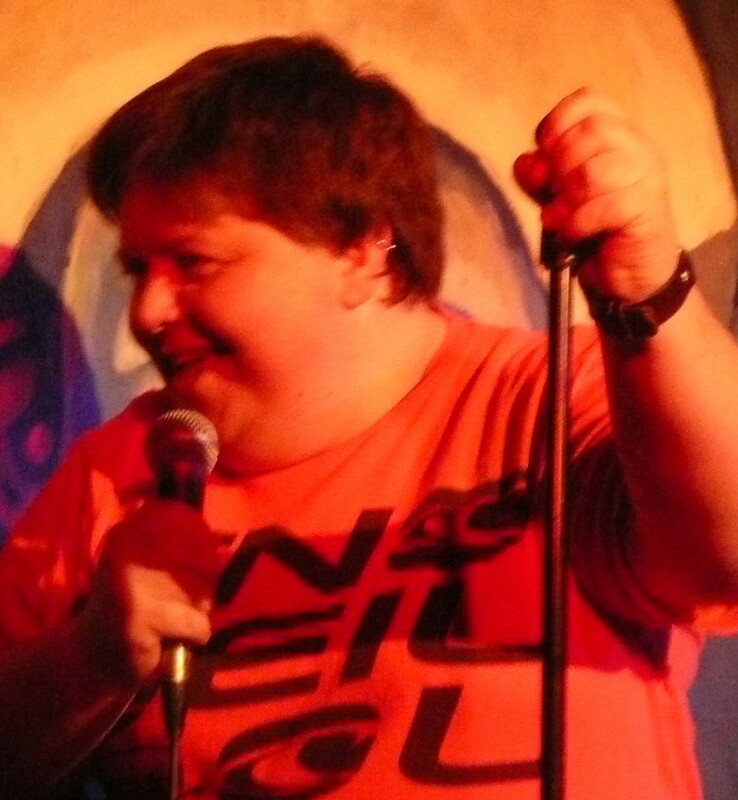 And the material, written by him on the night as I later found out, had the audience laughing away good style. I think this guy has the potential to be a major player in Scottish, if not World comedy in the near future. Keep up the good work. And that was that. The show is as always a mixed bag, some stuff worked better than others, but the vast majority I’m pleased to say worked well. I feel it is a good learning process for all the comics to undergo and judging by the packed out line-up and the virtual full house I am not alone in this opinion, especially as it is so reasonably priced too. 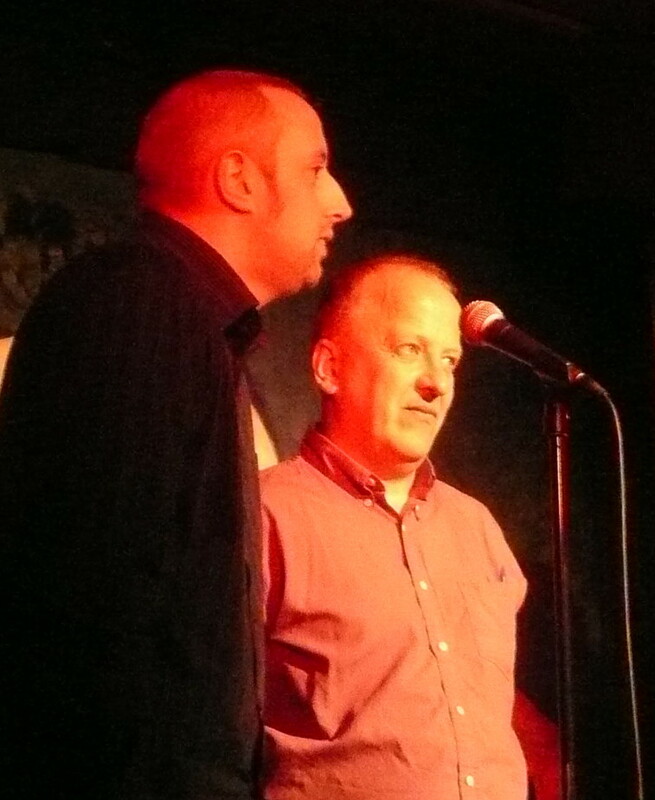 The Comedy Collective reassembles next month, for details of this and all the other shows that are available at the Stand check out their website www.thestand.co.uk for details. The calendar might show that it is May, but nobody told the weather gods as the Edinburgh climate was reminiscent of November. Following a rough day I nearly decide to call it a day and duck out on this show. Thank God I didn’t!! Once out of reach of the weather and having an excellent meal from the Stand’s food menu I was feeling more disposed to being entertained. And boy did they achieve that in style. The man in charge for the night was Scottish stalwart Raymond Mearns and like many of his peers he is an excellent compere. From the moment he hit the stage the man was on fire. Okay the Gods of Comedy had blessed him with the front row of his dreams, a Bostonian couple on holiday from college, two Canadian nurses, a trainee councillor and three game designers amongst others and did he make the most of them? You bet he did, and the atmosphere he generated with the pithy hilarious repartee set the tone of the night for one and all. Glaswegian Mikey Adams was the opener and he picked up the baton from his fellow ‘Weegie’ Mearns and ran with it like an Olympic athlete. It has been a while since I last saw this personable young comic and am glad to say he was as good as I remembered him being. His material was wide and varied, Gladiators TV programme, horses instead of cars, Scottish Education system, his appearance and a late night pizza story were stopping off points in his set. Each was well observed, written and delivered in his unique style. I’m certain he made a huge impression on one and all. 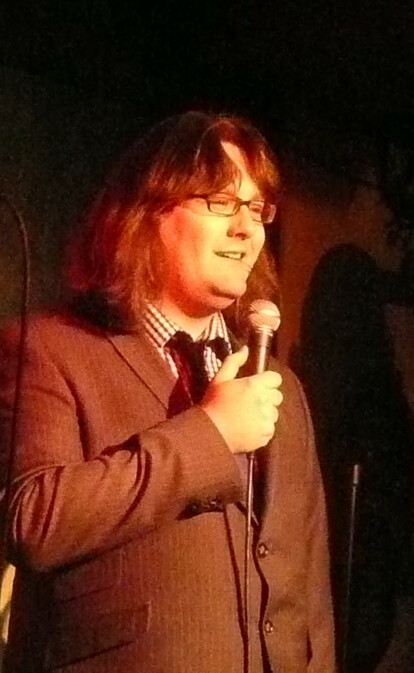 The first break followed and the opening act of part two, traditionally a set for up and coming comics to do a short set, was Richard Melvin. 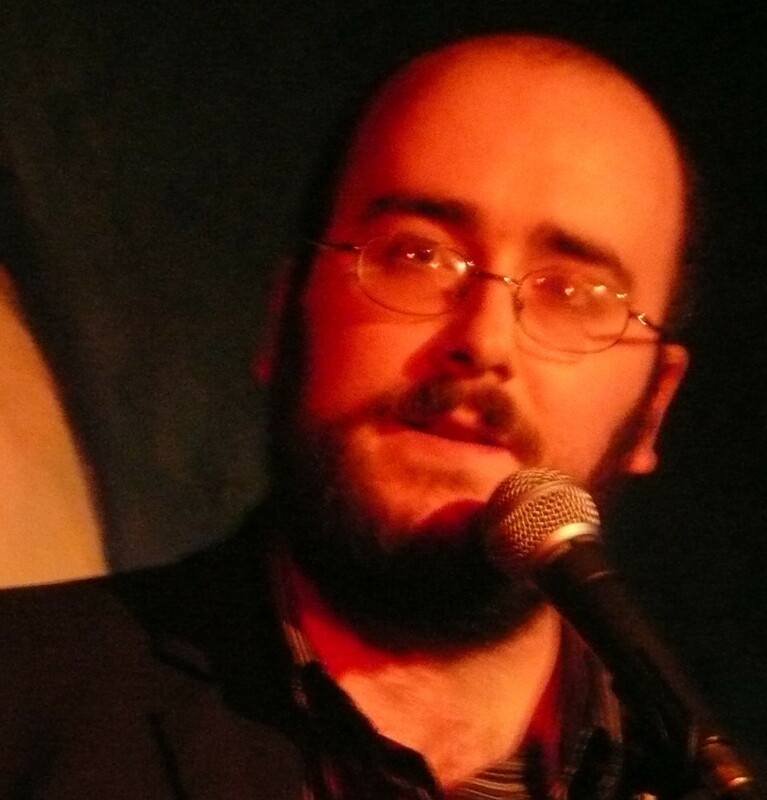 I had previously only seen him as a ‘gameshow host’ in The Good, The Bad and The Ugly’ as part of Edinburgh Comedy Collective, so was totally unprepared for the quality of the set he delivered. His relaxed manner, posh accent and laid-back stage presence belied the quality of the shorter segment. His material was extremely funny and well written, his stage presence was quietly commanding and if this is an example of his abilities then a long career as a stand-up surely beckons. I look forward to hearing the next instalment. 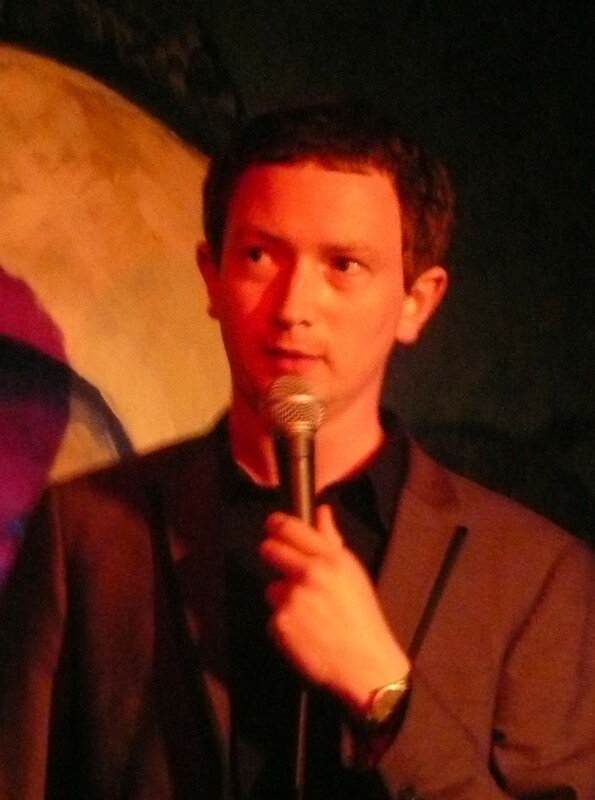 Closing out part two was comedy actor and stand-up Matt Green. 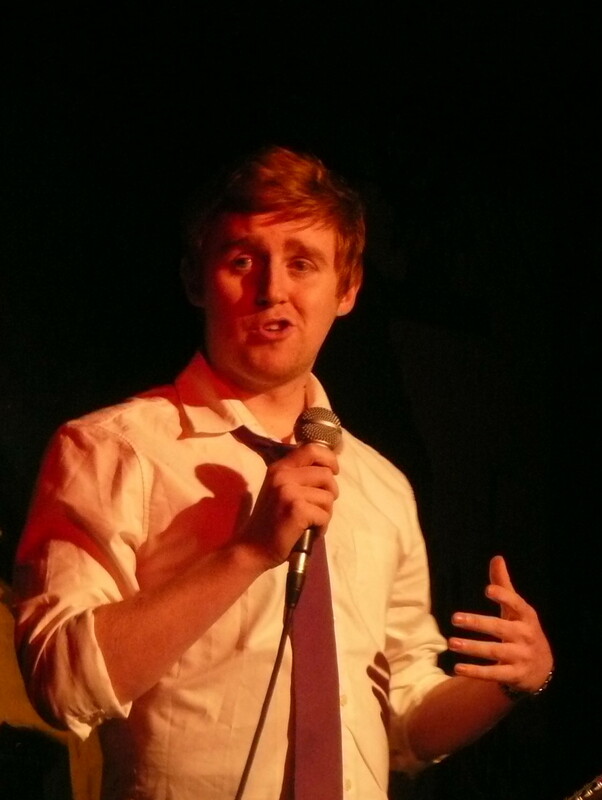 Now Green, who looks about 15, although is in his early thirties, has been known to me since 1999 when I first saw him as part of Cambridge Footlights in the Fringe that year. Each and every time I have seen him since the quality of his set and the material content has always been top notch. I suspect that many at the gig were getting their first Green experience, and yet I’m equally sure he is already a favourite. His material was again varied, Airport welcome signs, Prague toilets, elections, relationships, facebook profiles and movies are just a few of the topics he expounded on and I’m sure we could have all listened to a lot more given a chance. 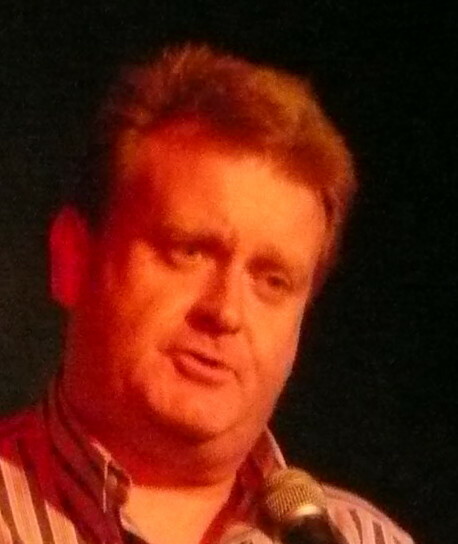 Following the second interval and more magic from Raymond Mearns the headliner on the night Zoe Lyons took command of proceedings. Now Ms Lyons is a quality act and she certainly did nothing top harm her reputation I can assure you. Confident in approach, occasionally self-deprecating in material, she held the club enthralled through out her all too short set. She is at home delivering her really funny stuff, yet more than able to riff with the audience and go to different places with no drop off of quality in anyway. 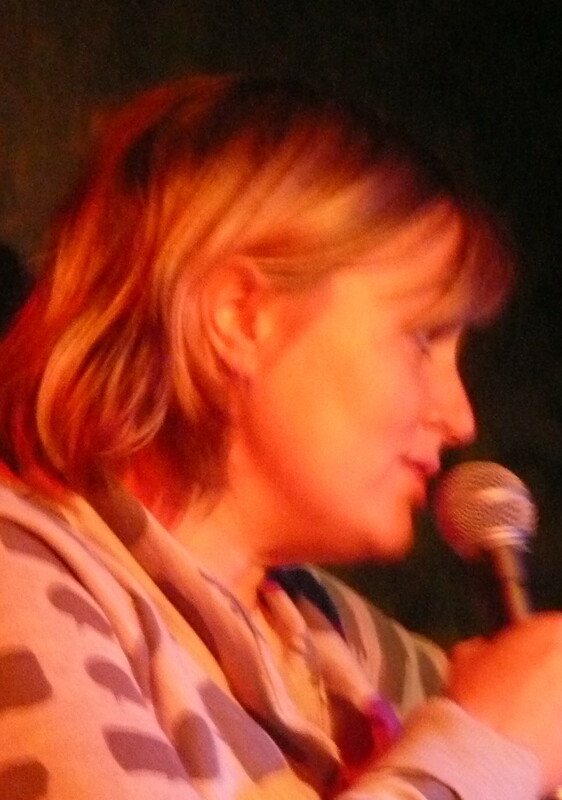 Zoe touched on many topics, the weather, Olympics, CCTV images, and Ugg boots in the rain were just a few subjects this engaging Brighton based comedian had everybody laughing at, and her time just evaporated. So that was it, Mearns closed the show as usual and I was left reflecting that it was one of the best shows I have seen in many a year. All excelled. And I could so easily have missed it!! 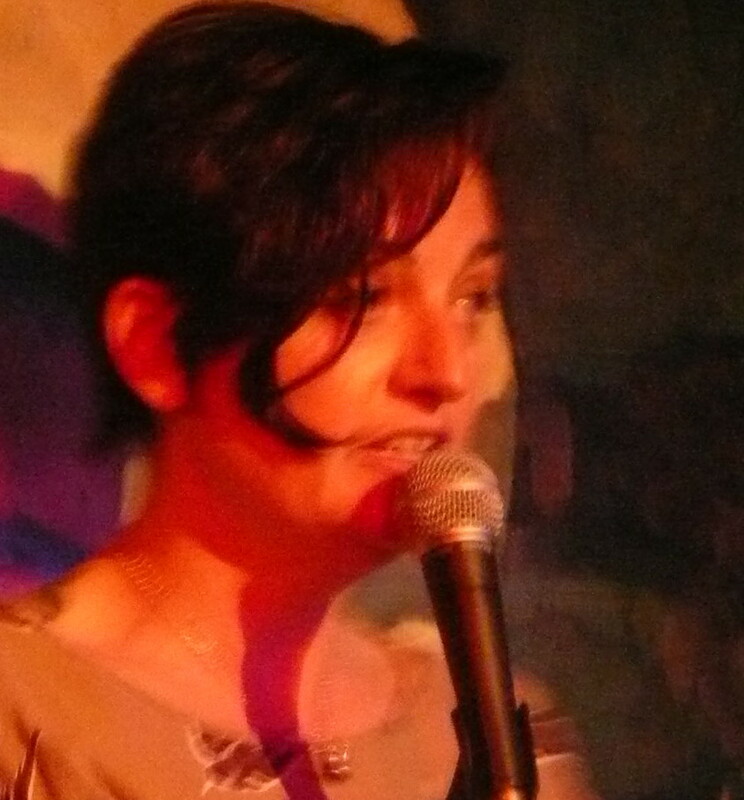 The first Tuesday in every month atEdinburgh’s Stand Comedy Club is always reserved for an all female line up of comics and it is a show I try hard not to miss if possible. This evening gathers together a selection of both local and more travelled performers and is a fine vehicle for the ladies to showcase their talents. This performance was strangely quieter in audience numbers than most I have attended but still a bijou crowd settled in for the fare on offer. 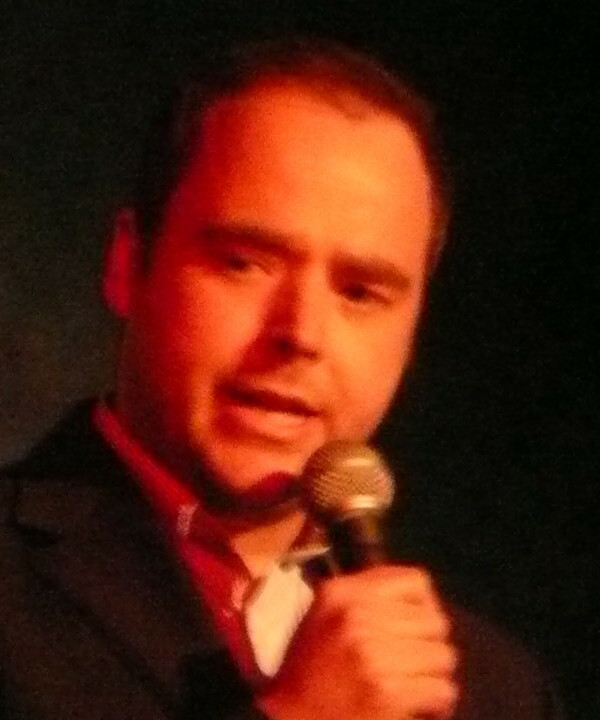 With regular host Susan Calman unavailable it fell to Sian Bevan to run the show. Now Sian is well known to the local crowd and well liked too. She is a nice person, always smiling it seems, but can control a difficult audience too if required, and she set about setting the scene in her own imitable style. Chatting to the crowd, finding out information for others to go back too and limbering up the chuckle muscles of one and all, the scene was set. 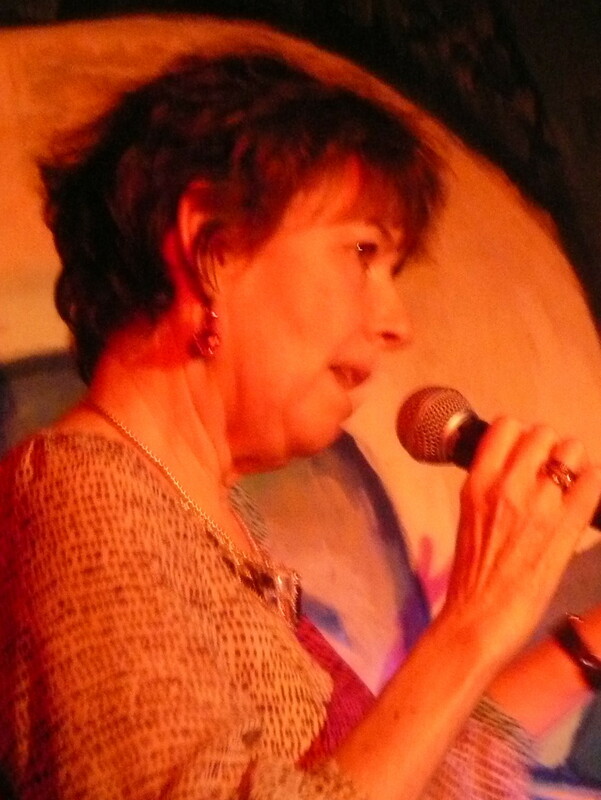 Opening act was Pauline Curtin, a new name to me and I suspect a lot of the people. This lady hails fromDublin and describes herself as a desperate housewife!! Now I don’t know what it was, maybe it was the wrong audience for her, maybe her material didn’t appeal, but I felt although it was a well prepared set, mostly on female subjects, it just didn’t illicit the audience reaction in the way she would have expected. She tried hard, but I guess it wasn’t to be her night. Following the first interval and some more audience interplay from Ms Bevan another new name to me Susie McCabe took to the stage. Judging by her accent Suzie is from the west of Scotland and much of her set was based on all things Scottish. 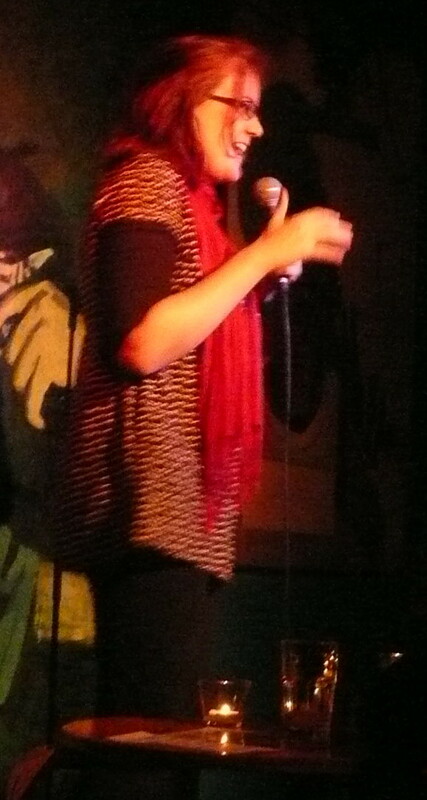 I really liked her short set, she had presence, comic timing and a way of getting everyone laughing with her. Some of her anecdotal references were so wonderfully described the characters were almost palpable. Closing out part two was Caroline Mabey. Now she was someone whose reputation I was aware of but this was the first time seeing her perform. Immediately grabbing the club by the lapels she launched into a set of funny, occasionally zany, often self-deprecating material, much of which was based loosely about her impending arrival. Now I have to admit I enjoyed her set, it was funny, definitely quirky at times and she is definitely someone I’d like to see again doing a longer set. I did find her referring to laminated notes to offset her ‘baby brain’ distracting at times and I’m sure they were not necessary as she is obviously an accomplished performer and did not need this gimmick in my opinion. 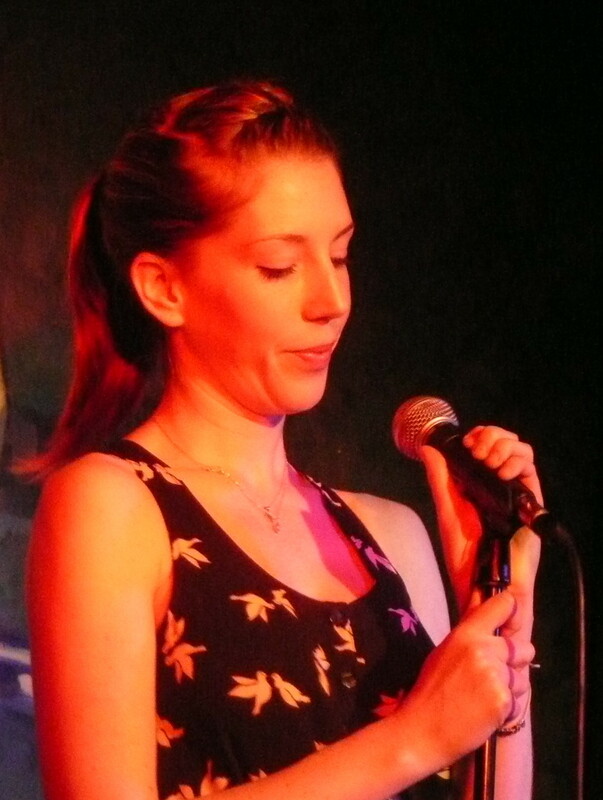 Following hard on the heals of the second interval and the prize draw Sian introduced the headline act, Katherine Ryan, a Canadian national living in London. This is not the first time I have seen her perform, far from it , and each time she just gets better and better. Ms Ryan is still young, but has bags of confidence, a huge personality, oodles of classy material and all packed into such a slender frame. The way she can flit from set to riffing with the audience at will has been sharpened up since her last visit. Also the ability to extract genuine belly laughs from all sorts of situations speaks volumes of her abilities as far as I am concerned and her numerous appearances on TV, with more to come, surely she will only become better still. That said she is already great value for money, I don’t know exactly how long she performed but it must have been around 45 minutes and her energy and pace never dropped, and neither did the audience reaction either. 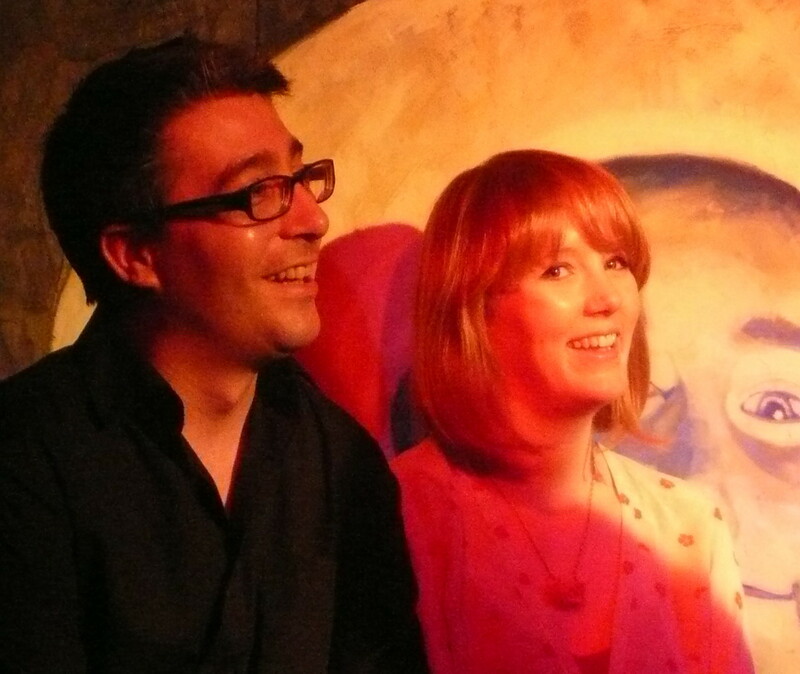 I look forward to seeing her back in the capital in August when she plays at the Gilded Balloon during Fringe 2012. And so ended yet another great night. The Stand offers comedy almost 365 days a year so why not visit their website www.thestand.co.uk for what’s on inEdinburgh,Glasgow and nowNewcastle as well. You can be assured of a good night.